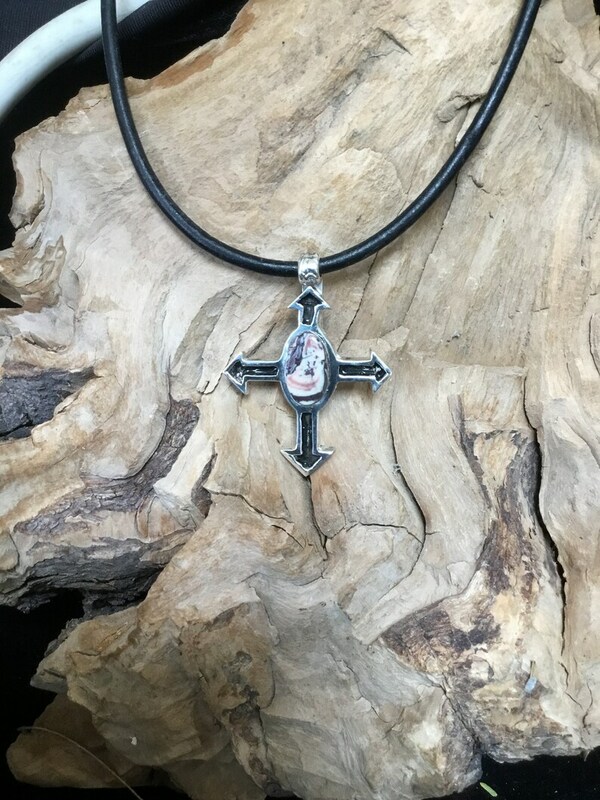 This hand made cross contains Porcelain Jasper stone in Sterling Silver. The leather choker is 20 inches long. I can make this cross with other stones.